Not all feet are born the same. Some feet are longer than the other while there are also feet that are narrow, medium sized (the most common), and wide. Most of the shoes available on the market today are medium sized, but there are also other brands that cater to other types of feet. If you are reading this, then you must be one of those men – statistically low in average – who are considered to have narrow feet. What is a narrow foot? Having a narrow foot is a rare condition. While there are studies that consider narrow feet a genetic disorder – there is no cure or remedy for it – there are those who consider it an aristocratic trait due to its rarity. The perfect example for this is Cinderella, a Disney princess who had small feet that only she in the whole kingdom was able to fit in her glass slippers. Narrow feet are long and elongated that most medium sized shoes won’t properly fit them. However, men’s narrow shoes are available in the shoe market if you know where to look. How to shop for narrow feet men? Did you notice while you were growing up that no matter how much you like the shoes, they simply do not fit? I went to a store one time and have wanted to buy their classic pair, but the size won’t just budge. I ended up reselling them for a much lower price and only used it once (a memory of me walking with blisters simply because I let the pain get the best of me). While I am not considered a narrow fit, the same principle of choosing the best pair for you should never be taken for granted. It is hard enough to keep up with the fast changing trends in today’s fashion, yet push ourselves to something even though we know they do not fit properly. If you have narrow feet, or at least not the medium standard size, do not ever buy a pair of shoes just because they are on sale. Comfort is more important than thinking you hit the jackpot on your favorite boxed square boat shoes that are already considered out of season. Stick to your classic styles of shoes and look for a design that caters to your size. Thankfully, most of the designs today are catered to the slimmer frame, and yes even in shoes. You can actually purchase men’s narrow hiking boots to secure your ankles and keep you comfortable. What to consider if you have narrow feet? They are made to tighten your shoes. Obviously, shoes with shoelaces can help men with narrow feet at least fit a medium sized shoe. Ensure you tighten your shoelace on the second and third eyelet. There are actually different types of gel inserts available in drug stores, department stores, shoe stores, and groceries. You need to know the area where you need to squeeze in those inserts. You can start by purchasing extra insole and if it doesn’t work, go for inserts that are more specific either on the ball of your feet or the sides. If the shoes don’t fit, wear thick socks. This is also a good thing for you since socks will never go out of style. Purchase those performance socks that compress the middle area of your feet, so you avoid getting into accidents. If you don’t like your socks to show, you can still purchase foot socks that are thick enough. Wear these socks when you decide to buy a new pair of shoes. Where to buy narrow shoes? Shoes for narrow shoes can be bought both in actual stores and on the internet. With the massive rise of the shoe industry, it is easier to cater to different types of shoe sizes for all ages. Some of which are men’s narrow width boots that fit perfectly to the shoe size of the guy. If you are looking for men’s narrow width work boots or formal shoes, opt for shoes with a heel that will narrow down the actual width of your feet to complement with your forefoot. Since your toes are considered sleek, you would need help on the sole of your feet for balance. Look for elevator shoes from Chamaripa Shoes and pick from their wide array of shoe designs that are both trendy and classic. Elevator shoes actually help not just men with narrow feet, but also men who are not happy with their height. They provide extra length to the wearer from the lifts hidden between the shoes’ insole and outsole. 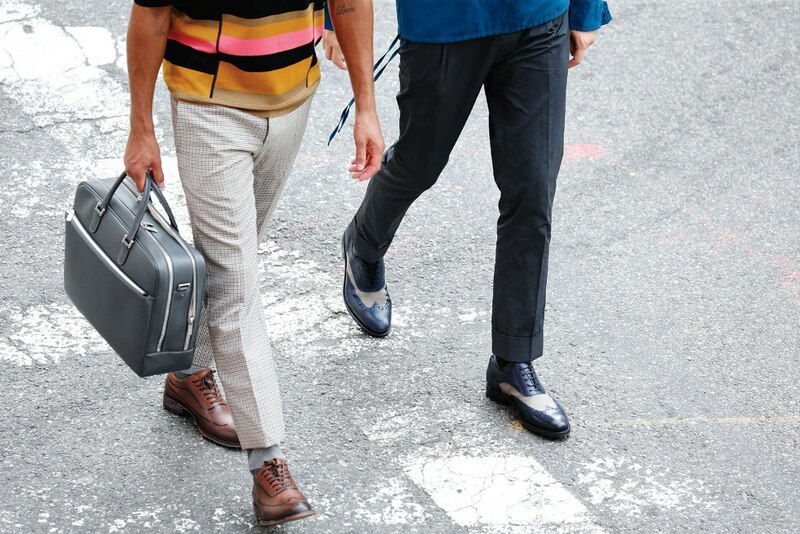 Moreover, men do not need to worry about getting caught wearing “heels” so to speak, because elevator shoes are designed to hide them – which means, only you and you alone have the knowledge why you suddenly have the height and proper posture – elevator shoes also improve the wearer’s height – simply because of a pair of elevator shoes. They say tall is might. Media portrayed a leading man who is tall, mysterious, and ultimately handsome. He is the type who can woo women with their charm and wit that it looks like anything they do is done with ease. Studies show that tall men are more likely to gain success in the workplace, even when their shorter counterparts do as much load. 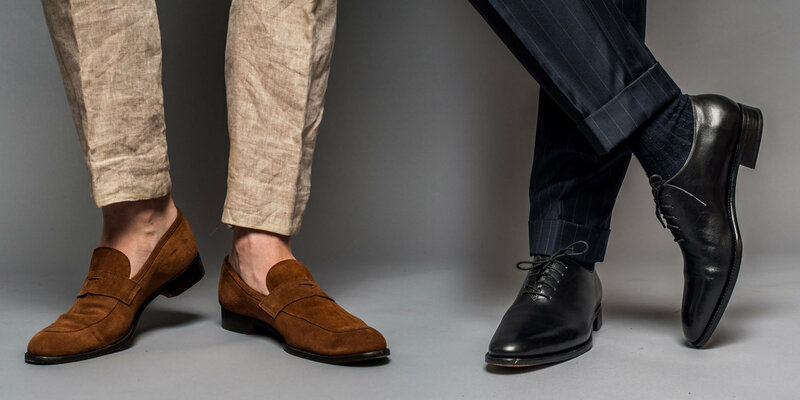 One benefit of elevator shoes is its ability to make someone look and feel taller physically, even though they are within or below the average height. Elevator shoes possess this thing called “lifts” that is sandwiched in between the outsole and the insole of the heel portion of the shoes. It provides the extra elevation men need to be that tall guy they always wanted.